We investigated the effect of boron passivation and re-oxidation on the properties of the silicon carbide/silicon dioxide interface. Metal-oxide-semiconductor capacitors were fabricated on 4H-silicon carbide substrates and the capacitance-voltage properties were measured. The high-low capacitance-voltage method was used to obtain the interface trap density from the capacitance-voltage curve. Boron passivation is known to be effective in reducing the size of carbon clusters at the silicon-carbide/silicon-dioxide interface. Also re-oxidation is known to be effective in improving the quality of the oxide and reducing the dangling bond set of the silicon-carbide/silicon-dioxide interface. The effect of each boron passivation and re-oxidation method on the silicon carbide/silicon dioxide interface was analyzed by observing the interface trap density obtained from the capacitance-voltage curves. We found that the interface trap density could be significantly improved; the best sample exhibited an interface trap density approximately 51% lower than that of the sample subjected to conventional oxidation via wet oxidation, boron passivation and wet re-oxidation. The interface of each sample was investigated with X-ray photoelectron spectroscopy, based on which we inferred that boron-passivation reduced the size of residue carbon clusters located at the silicon-carbide/silicon-dioxide interface. 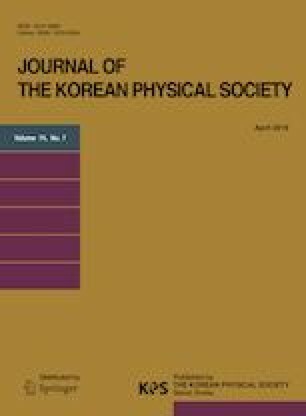 This research was supported by the KIAT (Korea Institute for the Advancement of Technology), supervised by the MOTIE (Ministry of Trade, Industry and Energy)(N0001594) and by the MSIT (Ministry of Science and ICT), Korea, under the ITRC (Information Technology Research Center) support program (IITP-2018-0-01421) supervised by the IITP (Institute for Information & communications Technology Promotion).